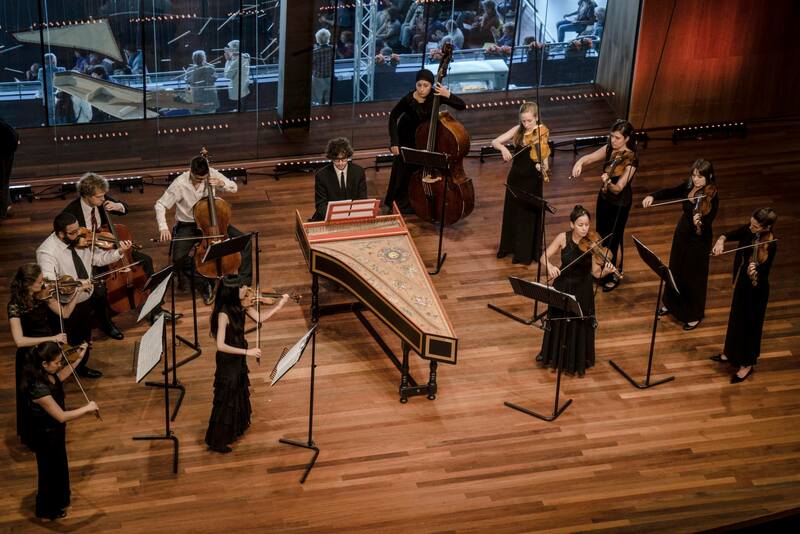 My summer 2014 beautifully ended just a few days ago with the closing of the world biggest early music Festival, the Utrecht Oude Muziek Festival and the great news from them that my group Fons Harmonicus was chosen for the Fringe Public Prize 2014. Herewith, I would like to record the memory with some nice pictures from the festivals I participated this summer in Utrecht and Brugge. These were such exciting days, meeting with early music stars, up and coming ensembles and many early music friends from all over the europe just every corner of the city (literally!). 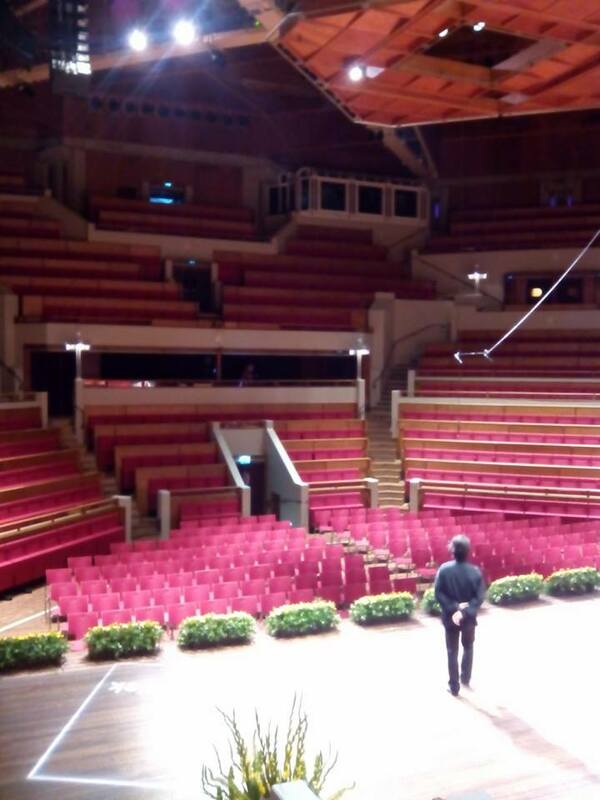 The highlight must have been the Fabulous Fringe with Seconda Pratica, having just completed our residency in Ambronay 2014, on 31st August at the newly reopened Tivoli Vredenburg. 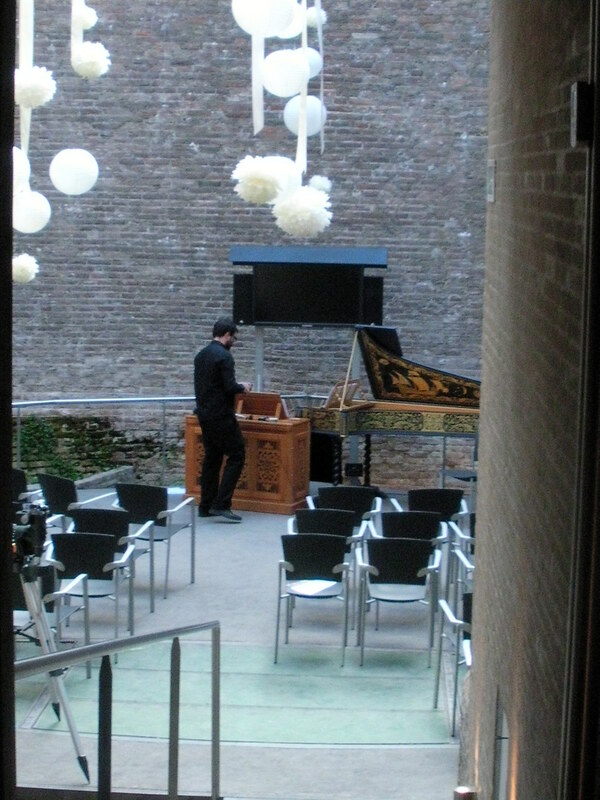 The Grotezaal where we performed kept its amazing acoustic and warm atmosphere with wooden materials after 7 long years reconstruction. (Well, actually when I came to this country, they had already started reconstruction, so I hadn’t known how amazing it was. But many of my colleagues assumed it was finely kept after the reconstruction against their worries). Our program ‘Nova Europa’ was received nicely by the ‘Uitverkocht (sold-out = full-house)’ audiences and Next morning, we were surprised with good review on the first page of daily issue by the festival! > go to the link! 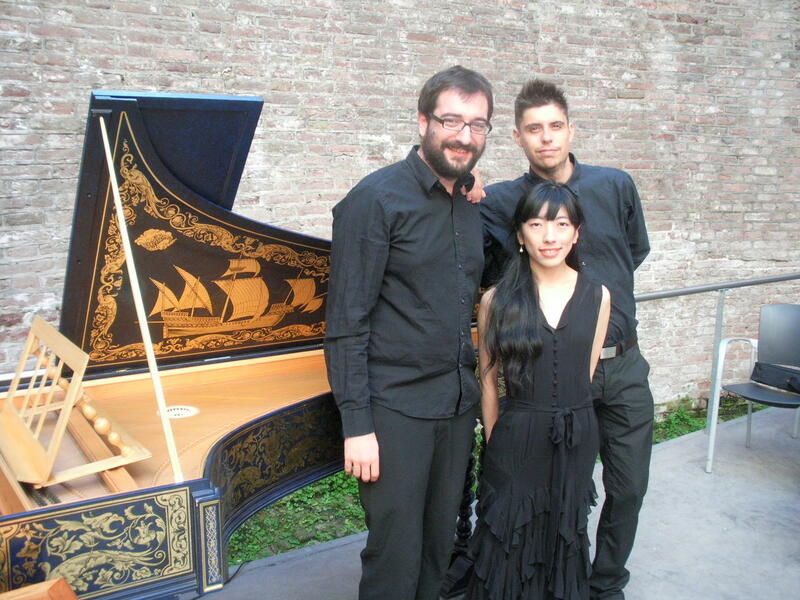 Trace back to the beginning of August, my fringe tour started in Brugge with my ensemble Fons Harmonicus. 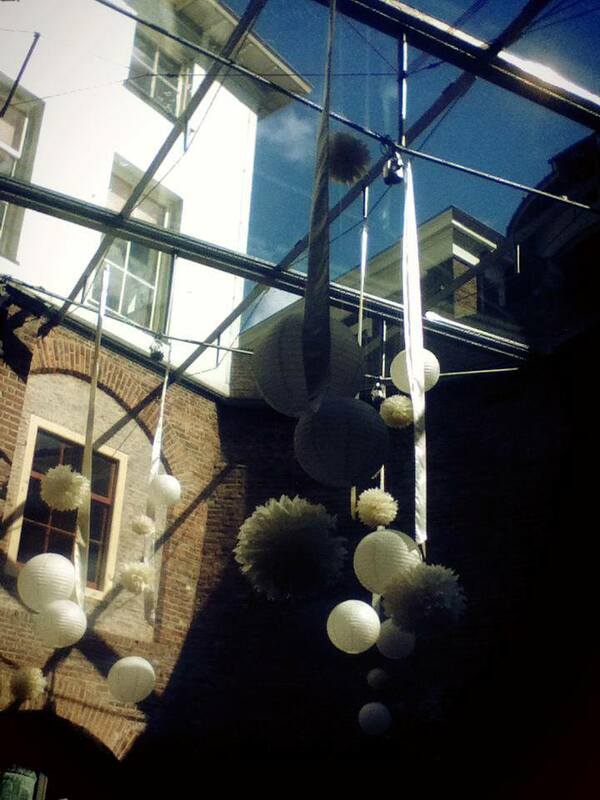 We were honored to be invited to the fringe concert at MA festival Brugge 2014, one of the oldest early music festival, and performed on 8th August at Provinciaal Hof. Even as a young ensemble, we are not immune from financial pressures, and needed to go through some struggle about financial issue before we decide to come, honestly. Especially in mid of summer, travel cost is suffering. However, we got strong and kind financial support from Leeds Baroque Friends and Ms. van Lingen which made us possible to travel to this beautiful old city. I would like to thank them again here from bottom of my heart! 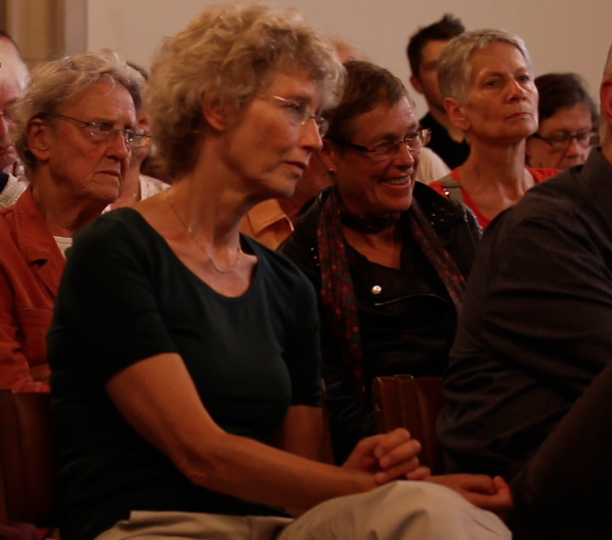 The faces of audiences captured by Arne Kelders/MA Festival tell enough what a wonderful time we had during the concert. 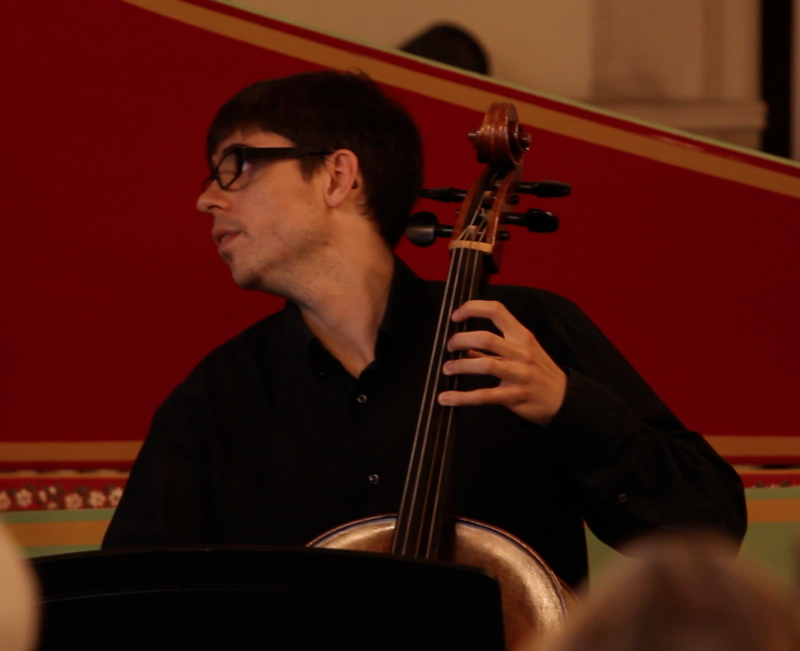 Fons Harmonicus appeared on the Fringe concert of Utrecht Early Music Festival as well. In this enormous festival, with hundreds of performances at all hours of the day, musicians always never know which kind of venue you get. It could be a cafe, could be a movie theater, could be a museum and could be an observatory! We performed on 1st September at Sonnenborgh (Zonnenburg), the observatory on a small green hill in the very quiet area of Utrecht. 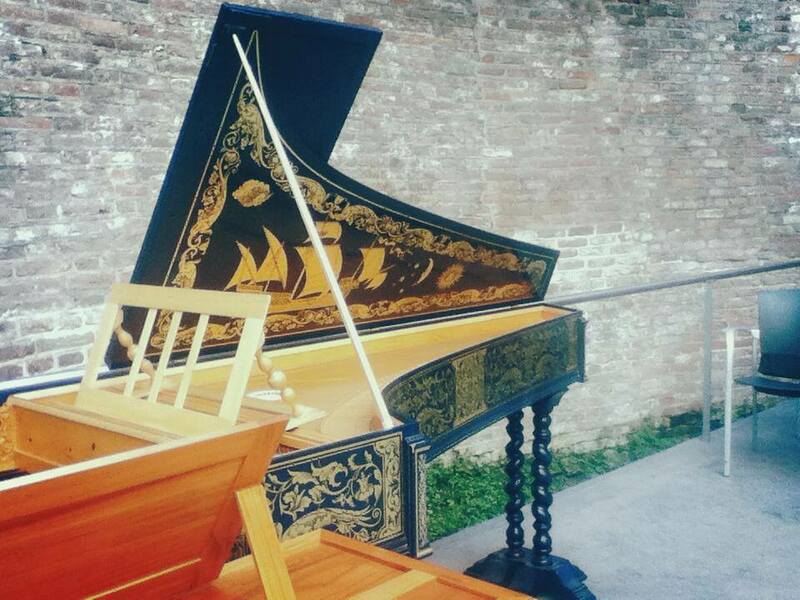 The concert was held in the old and impressive courtyard, built on a part of the 16th century bastion. Luckily, we had a beautiful blue sky above us the whole time during our concert. It was beautiful to see the colorful sunbeams through the glass-roof which changes the expression of shadow and light all the time. 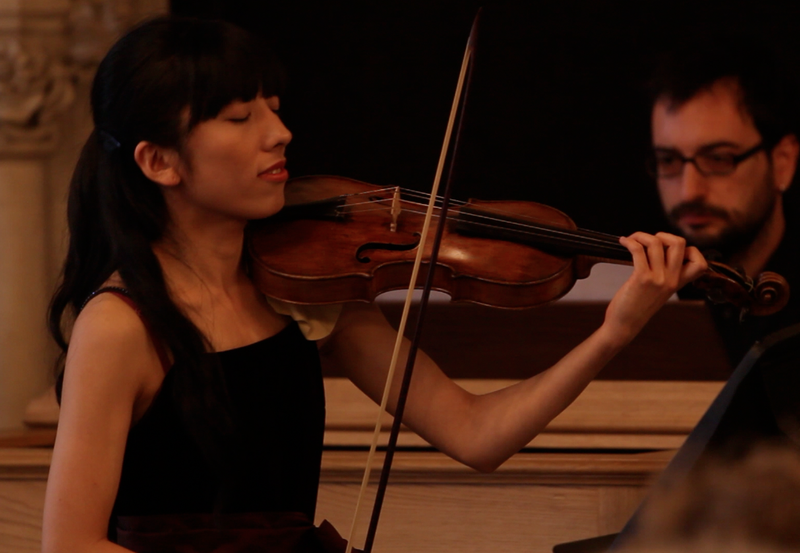 It seemed like to be linked with the contrasting and dramatic 17th century music we performed (Rognoni, Schmelzer, Stradella, Biber and Lonati from the program ‘Il Vento da Transalpina’) and reminded us of the essential ‘baroque’ concept, contrast of human expression and chiaroscuro. I remember still, now, after a week how we were inspired by the venue and also from enthusiastic ‘early birds’ audiences who came for this Monday morning concert on the first day of the month (!). It was an unforgettable experience, a kind of groove and many special moments we shared during our performance. 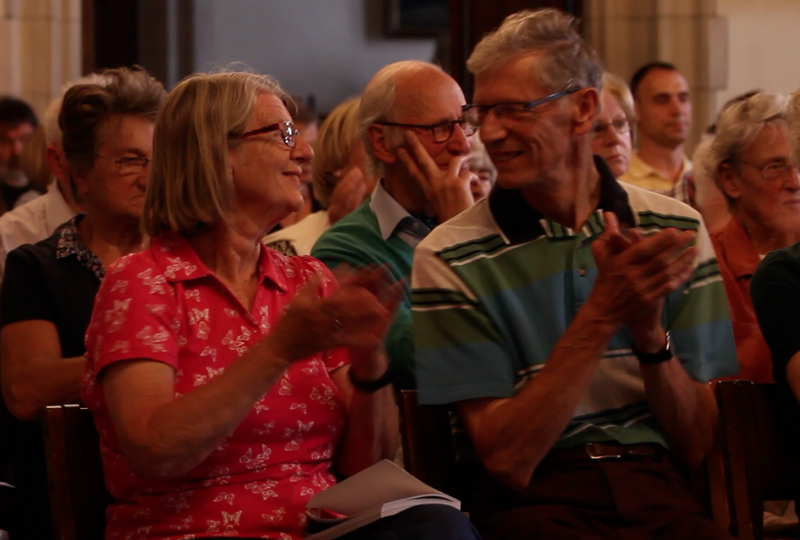 And it was proved by the news as I wrote above, that we were chosen for the Fringe Public Prize thanks to all the votes the audiences made for us. 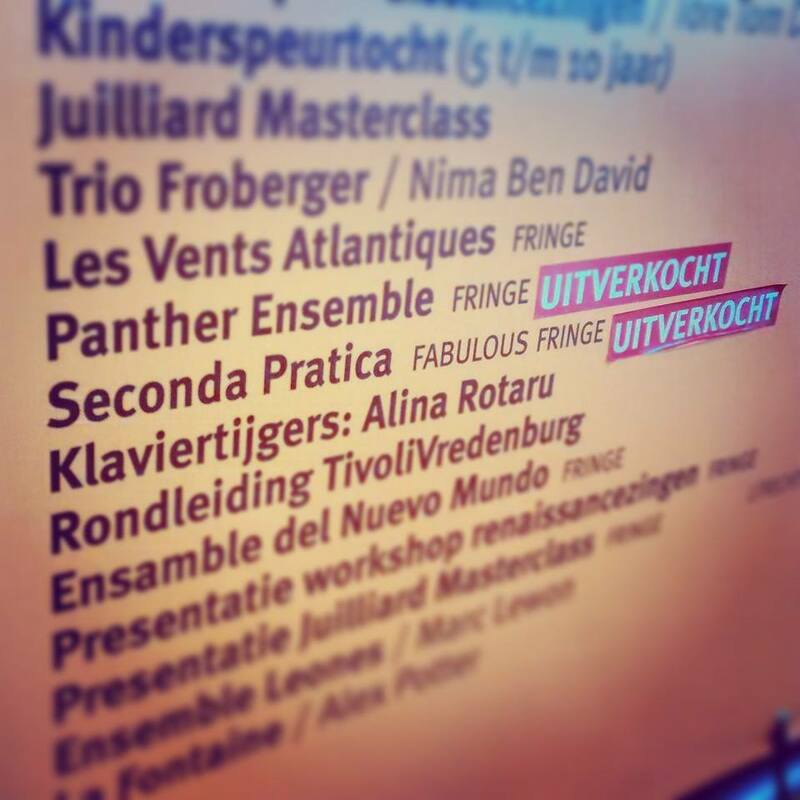 The prize promised us our appearance in Fabulous Fringe concert in next edition of Utrecht Oude Muziek Festival. 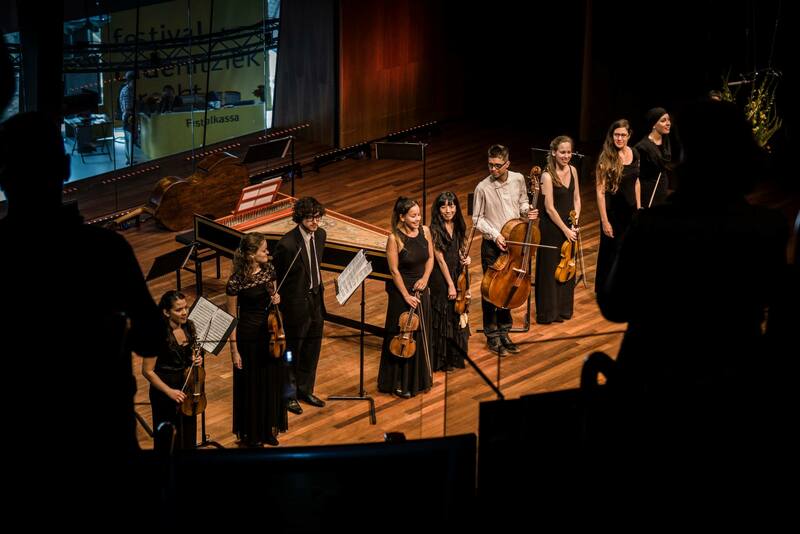 I should not forget to mention about one more up-and-coming ensemble, the Amsterdam Corelli Collective, formed by students of Amsterdam Conservatory, with whom I could share great time in both Fringes concerts in Brugge and Utrecht. ← This is a competition of Encounter and Communication..